I add them to my water every day, make lemon tea, squeeze lemon in my salads, and bake with them. I even add a few drops of lemon essential oil to my kitchen humidifier every morning. There is something about lemons that’s so refreshing and pleasant. One sniff and I’m smiling ear to ear. Lucky for me, my kids love lemons and cooking with them too. 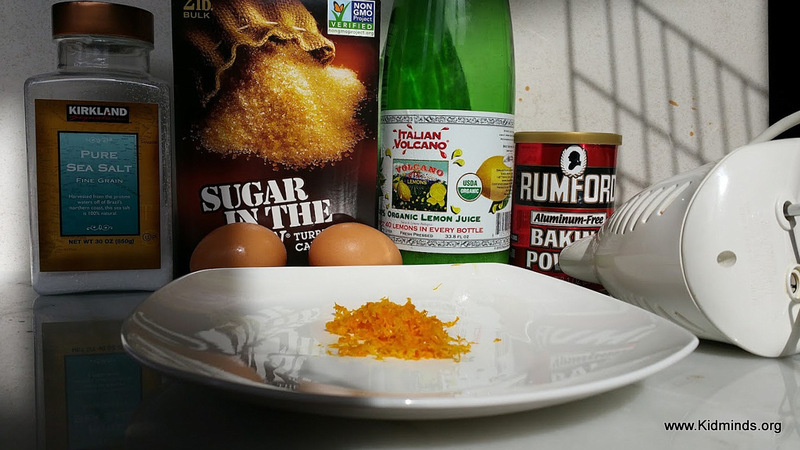 They especially like making lemon bars because it’s quick and they get to press the crust ingredients into a pan with their hands (there is a bit of competition who gets to do this job). 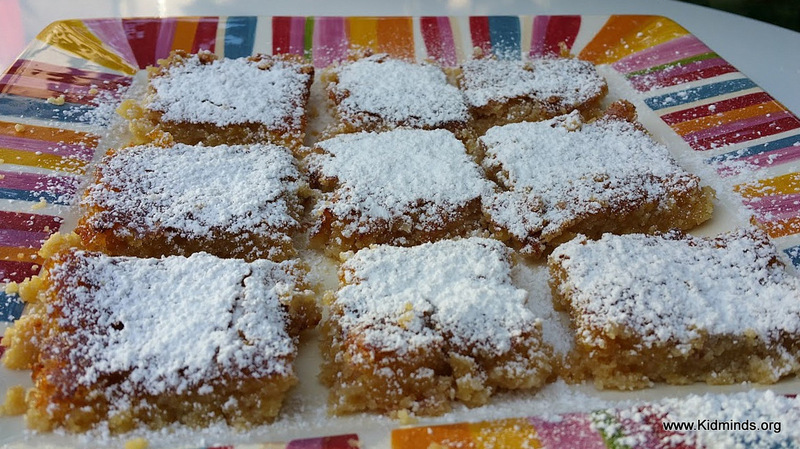 In our version, classical lemon bars get a makeover with gluten-free flour. Today I made two batches and we took them on a picnic with us. I bet some very happy ants are still eating our crumbs out at the park. 2. 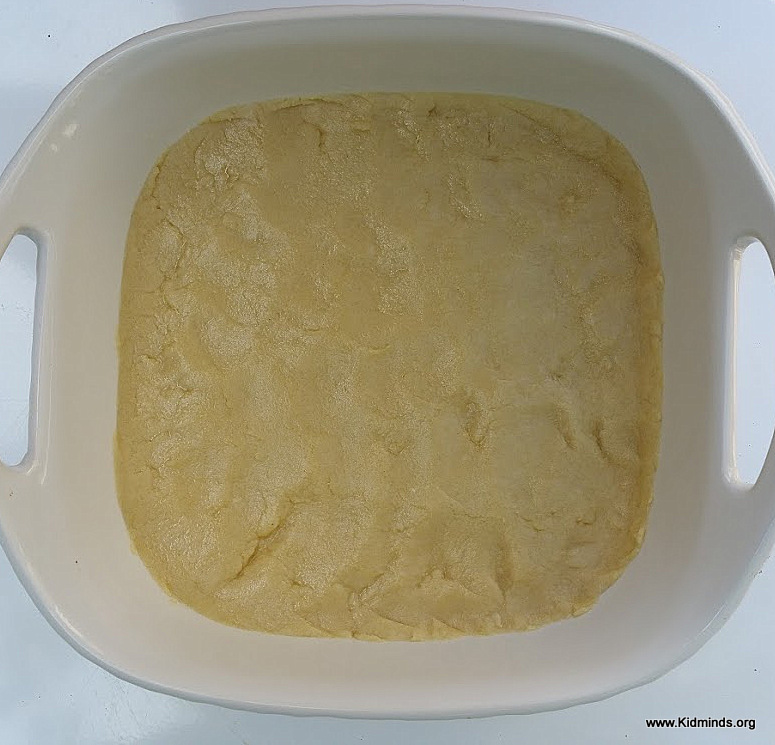 Lay a square pan with parchment paper. 3. Mix flour, butter, and powdered sugar and press in a pan building up a bit of an edge. 4. Bake the crust for 20 minutes. 5. 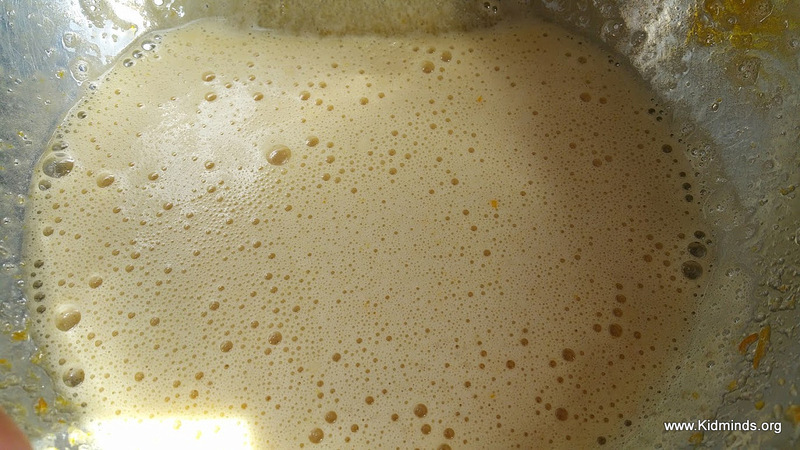 Beat remaining ingredients with electric mixer on high about 3-5 minutes until bubbly. 6. Pour the mixture over the crust. 7. Bake 23-25 minutes. To test for readiness, press the top with the index finger. The indentation should disappear after your lift the finger. Sometimes I am just not sure and since it contains raw eggs I need to be sure, so I just leave it in the oven for 5-10 minutes more with the oven turned off. 8. Cool in a pan. Cut into squares. And dust with powdered sugar. Do you like lemon desserts? What is your favorite lemon dessert? 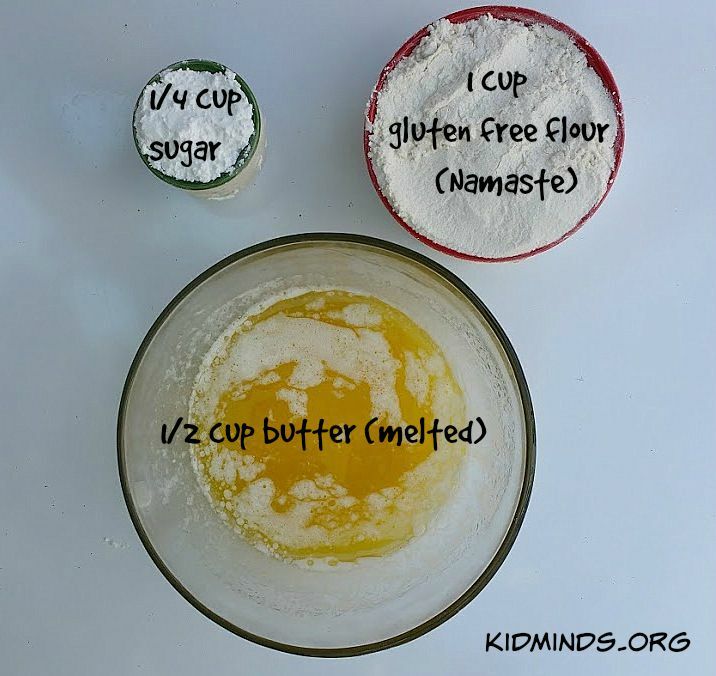 Follow Kid Minds’s board LEMON LOVE on Pinterest. Hey Buddy!, I found this information for you: "Lemon Bars (gluten-free)". 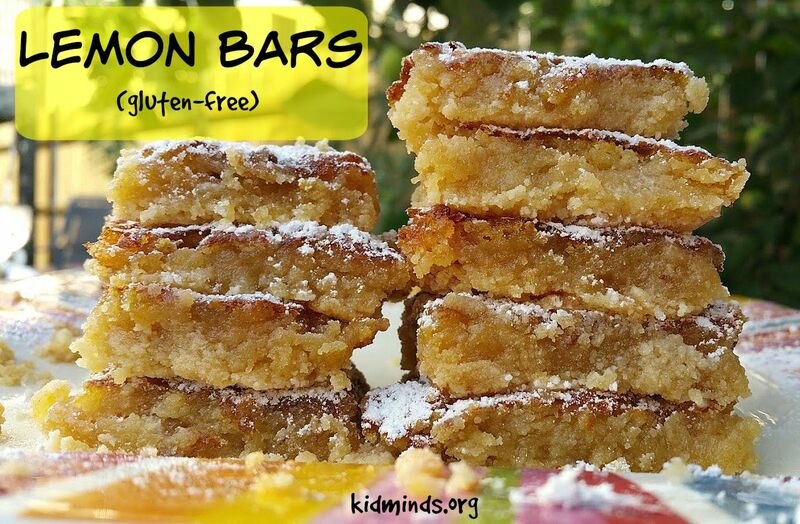 Here is the website link: http://kidminds.org/lemon-bars-gluten-free/. Thank you.